Beautiful RARE certificate #5 from the Hood Fire Arms Company issued in 1875. This historic document has an ornate border around it. This item has the signatures of the Company's President, E. Gibbs and Secretary, Charles A. Converse and is over 132 years old. The certificate was issued to Charles A. Converse. This is the only example of this company's certificate we have seen. 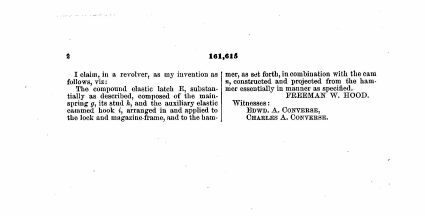 The Hood Firearms Company, established 1875; capital stock, $25,000. E. M. GIBBS, president; C. A. CONVERSE, treasurer and general agent; E. A. CONVERSE, secretary; J. C. WEBB, mechanic superintendent. The Hood Firearms Company of Norwich CT was active from 1875 - 1879. 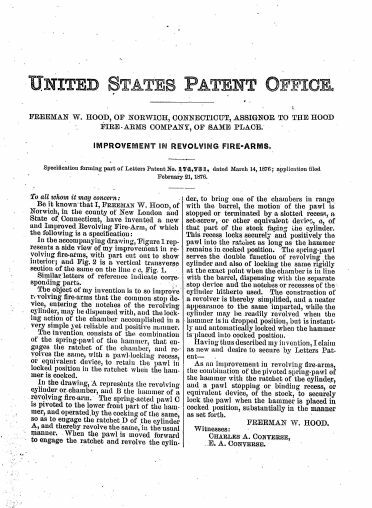 It used the patents of Freeman W. Hood, Worcester and Boston Mass. and Norwich CT. 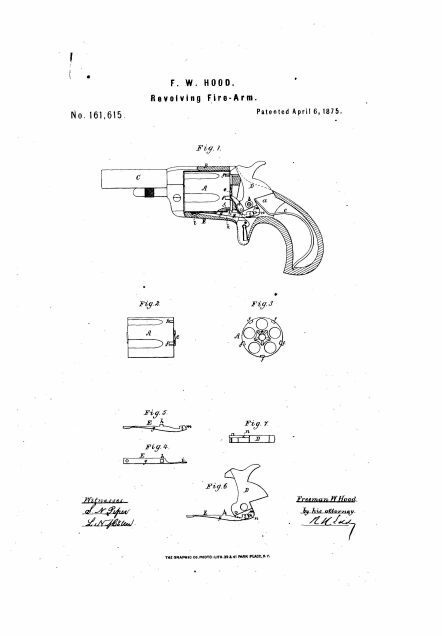 Hood was a designer of a variety of firearms and related components. 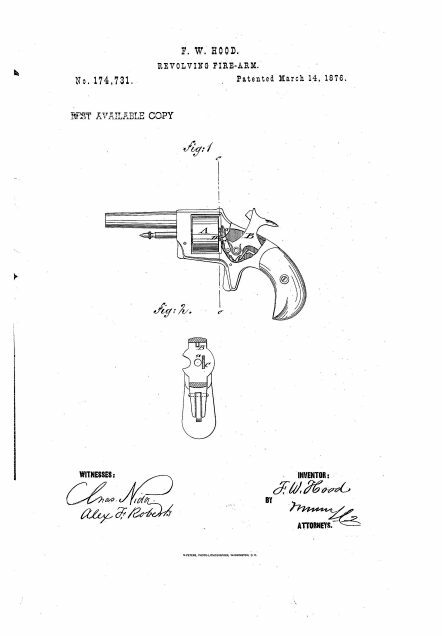 Colonel Charles A. Converse was also a founder of the Hopkins & Allen Manufacturing Company, which made derringers, the ubiquitous handguns that legend says were frequently used, after words failed, to settle a card game. 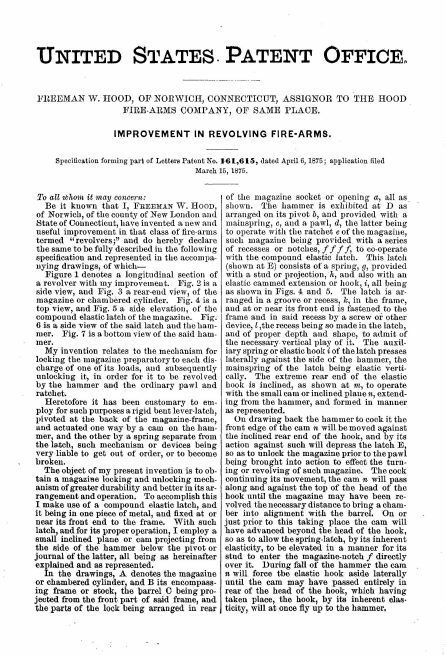 Among gun makers, Hopkins & Allen was considered third in the nation behind Colt in Hartford and Winchester in New Haven. Colonel Converse donated funds sufficient to build a new art building at the Norwich Free Academy.